“Right now, I am speaking from the heart. 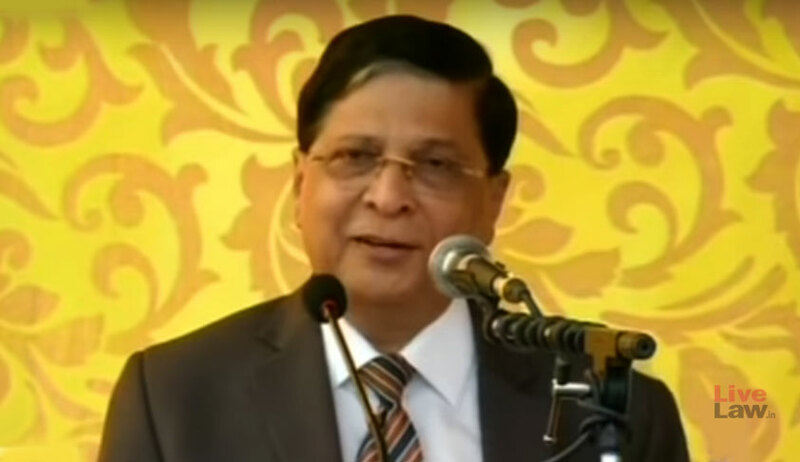 In the evening, I shall speak from my mind”, outgoing Chief Justice Dipak Misra had said on Monday morning while whole-heartedly appreciating the gratitude expressed towards him at the bar and the apologies tendered for any unintentional misdemeanours on the Chief Justice’s last working day. Delivering the address at his farewell function, the Chief Justice urged that justice be immunised against any disruption, stating that the truth is not always what it is ostentated to be and that the truth, in fact, is devoid of any colour. Highlighting the tremendous role played by advocates, he remarked that the members of the bar should abstain from acting as sour losers in attaching unfounded motives when the outcome of a case is not favourable. “Slander becomes the weapon of the one who emerges defeated in a debate”, he articulated, adding that if one’s senses of perception are free from any pollution, the picture is conceived simply as it is., he articulated, adding that if one’s senses of perception are free from any pollution, the picture is conceived simply as it is. He iterated that the Indian judiciary is and has been the strongest, the most robust institution in the world, even in the face of numerous attacks, and that it cannot be robbed of its independence by any skills or tactics. He asserted that all matters rank equal in terms of significance that pain continues to be pain regardless of whether the one undergoing it is rich or poor, and that equitable justice demands empathy towards the sufferings of the common man. The Chief Justice was also very vocal of his gratefulness for the assistance rendered by the bar; he declared utmost respect from the “core of my heart” for the members of the bar, stating that it is the bar which links the bench to the reality on the ground. While acknowledging the experience and the wisdom of the senior members, he showered appreciation on the newer entrants to the legal profession, addressing them as his dear friends, for it is they who enlighten the bench’s vision. He regarded the younger lawyers as assets with the potential to significantly advance the jurisprudence. Suggesting that history may be fair, at times, and unfair, at others, Chief Justice Misra advanced that people be judged not based on their history but their acts and perspectives. “I am inclined to believe that all the compliments given to me today are not merely out of some formality....I trust that this gathering here has congregated for their love for me”, he said, adding that he was fully satisfied with his term as the Chief Justice of India. “If I ever were to write my autobiography, its motto would be ‘No antonym, No rhetoric, only hard work’”, signed of the Chief Justice on an enigmatic note. Earlier, Justice Gogoi had congratulated the outgoing Chief Justice for his exemplary contributions to the law, more specifically, in the arena of civil liberties, freedom of choice of the individual. He had commended Chief Justice Misra for his ground-breaking judgments condemning mob violence and honour killings and according recognition to the LGBT community. Justice Gogoi spoke of the Chief Justice’s learnedness and his resoluteness that would serve as an inspiration to both his successors and academicians. Finally, in his capacity of the Chief Justice-designate, Justice Gogoi assured that the justice delivery system has emerged a winner even in the wake of incessant attacks on its credibility and that the commitment of the dedicated judges to the Constitutional ideals shall not waiver despite any “inadequacies”.